So, December 4th is National Cookie Day. Probably a good time for it because I have a new obsession. How does she have the time you’re asking, right? Well, luckily, I’m sure I have a tapeworm to help me with this one. 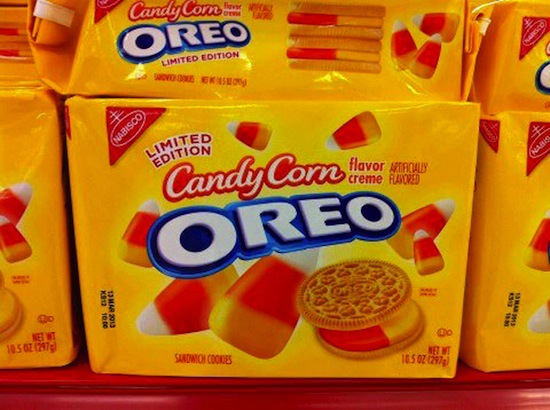 Around Halloween, it was brought to my attention that there was a special Limited Edition Oreo, The Candy Corn Oreo. I’m not much of an Oreo eater. If a bag ends up on sale on an endcap when I’m at the store, I might pick one up or if I find them randomly in the pantry, I might eat them, but not really on my list of must have grocery items and I generally try to avoid the cookie aisle as a rule. The problem started with the Oreos because they were “Limited Edition” and I couldn’t find them in my local Target, where they were exclusively sold. I went online and saw they were selling for $12 a box and went up a dollar a day to $15 for a sub-$3 box of cookies. The hunt was started, I went to Targets in Maryland and Virginia, had people looking out for them to tell me when they were in stock. I finally had a co-worker find me a box and FOUR boxes shipped to me from Omaha!! On my many trips, I started to notice that the Oreos cookie line has expanded A LOT in the last few years, there were Original, Double Stuffed, Golden, Double Stuffed Golden, Strawberry crème, Chocolate crème, Mint creme, Cookies and Cream Ice Cream crème, Peanut Butter crème, football shaped, fudge covered, fudge covered peanut butter and fudge covered mint. I think there are more, but that’s all I can remember. 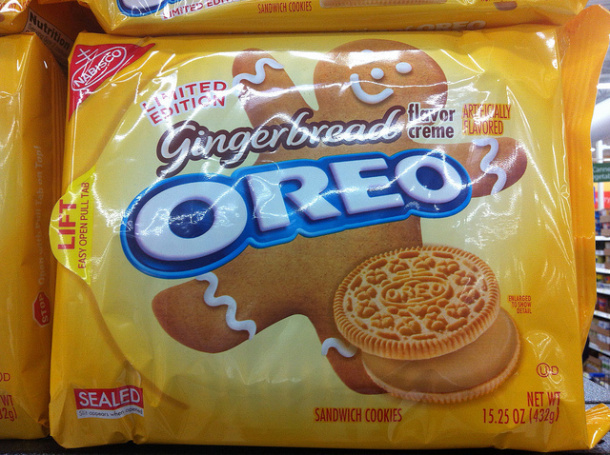 When I finally got the box of Candy Corn Oreos, I wasn’t that impressed, but now I was on the Oreo train. There were the cookies and cream ones, which seems wrong because in the crème was the bits of oreos… you think that’s not right, but it’s sooo good. Then the new Holiday ones are out there, Candy Cane Oreos. These by far beat the Candy Corn ones. Chocolate-y minty-ness.